Imagine living in a luxurious new townhome that has top-of-the-line features, provides you with exclusive access to community perks and is within close proximity to a commuter train line. Doesn't it sound pretty attractive? No need to imagine any longer because you can get all that plus much more by taking a close look at The Crossings at Hamilton Station. 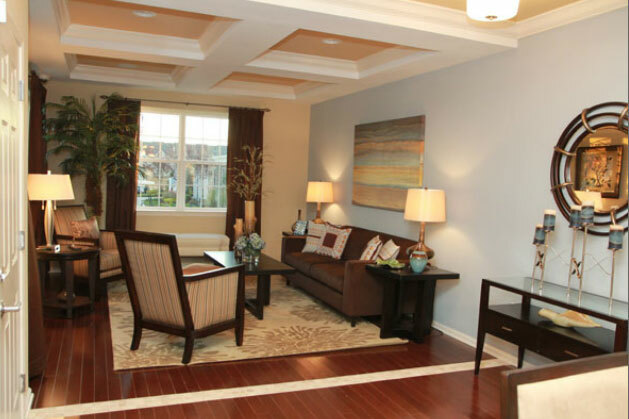 This convenient and superb community is one of the newest transit villages from Edgewood Properties, located in Hamilton, NJ. If you've been looking for new townhomes in NJ, it's time to move to The Crossings at Hamilton Station to get the lifestyle you've always wanted. It's the ideal condominium and townhome community that's perfect for families, commuters, business professionals and anyone looking for incredible convenience with extreme value. The community has a wide selection of homes to choose from and finding the perfect one is easy as there are plenty of floorplans, styles and sizes available. Each new townhome at The Crossings at Hamilton Station features 2.5 bathrooms, 2 large bedrooms and a second floor loft/den that you can turn into your personal home office. Throughout the well-appointed townhomes, the luxurious features create an unmistakable sense of comfort stemming from the lofty nine-foot first floor ceilings, premium wall-to-wall carpeting and Vinyl Wood Plank flooring, and spacious living areas. 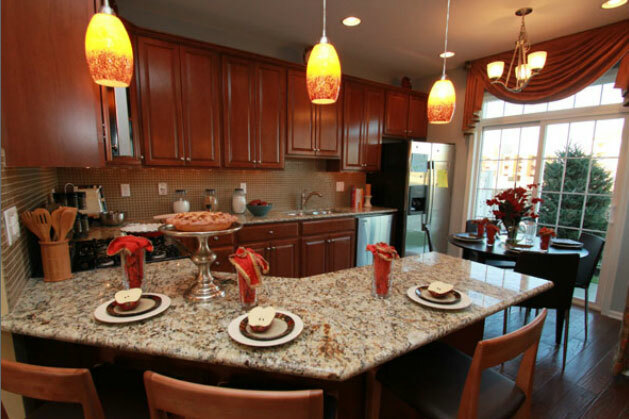 Kitchens come equipped with designer flooring, stylish counter tops, 42" cabinetry and a full-size appliance package. Additionally, the bathrooms feature cultured marble vanity tops, ceramic tile flooring and oversized showers with glass doors. The townhomes, as well as the condos, will also help you conserve energy and reduce monthly utility costs as each residence was constructed with energy-efficiency in mind. An efficient and economical gas forced air heating system will keep you warm in during the colder months, and you'll always be cool in the summer when using the central air conditioning. Adding to year-round comfort, each home has energy-efficient insulated glass windows, R-30 ceiling insulation and R-13 wall insulation as well as a programmable thermostat. And since these are new condos and new townhomes in NJ, they come with a 10-Year New Jersey Approved Warranty and a Full-Service Home Warranty Department. As mentioned above, residents of The Crossings at Hamilton Station can take advantage of the large 4,600 square foot clubhouse. With an impressive garden entrance, complemented by professionally-landscaped grounds, you'll have access to a state-of-the-art fitness center, media & game room, lounge, an outdoor resort-style swimming pool, and more. The community is conveniently located near the Hamilton Train Station, which is the perfect opportunity for professionals to easily commute back and forth to work. With fast and efficient transportation to major cities such as Philadelphia, New York City and beyond - you'll get to where you need to go in no time. Additionally, The Crossings at Hamilton Station can give you easy access to major roadways such as I-95, I-195, I-295, Route 1 and the NJ Turnpike. Not to mention, you'll be close to shopping, dining and tons of entertainment. 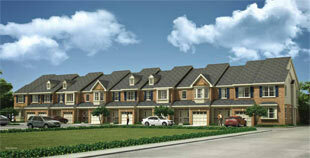 Are you ready to have everything within your fingertips while living in a luxurious new townhome in NJ? Learn more information about The Crossings At Hamilton Station today by contacting Edgewood Properties at (732)985-1900.